In his recent visit to Kenya, United States (US) President Barack Obama rightly observed that the ‘spectre of terrorism has touched far too many lives.’ In Kenya, terrorism has long since evolved from an abstract concept to a living menace. On 7 August 1998, the US embassies in Nairobi and Dar es Salaam were bombed. Today, 17 years later, hundreds of Kenyans still bear the scars of this brutal massacre, which killed more than 250 people and injured 5 000 others. This was Kenya’s ‘9/11’ – three years before the US unfortunately experienced its own horrors. The impact of terrorism on Kenyan society cannot be quantified. The Global Terrorism Database (GTD) estimates that 446 terrorist attacks occurred in Kenya between 1970 and 2014, with approximately 1 400 deaths and more than 5 800 people wounded. Staggering though these numbers might be, for many Kenyans, the figures hardly reflect the heavy burden that terrorism has placed on the lives of ordinary people. Terrorist attacks continue to rise in Kenya, with an estimated average of 47 incidents per year from 2008 to 2014. This is a huge increase from the average of five attacks per year from 1970 to 2007. 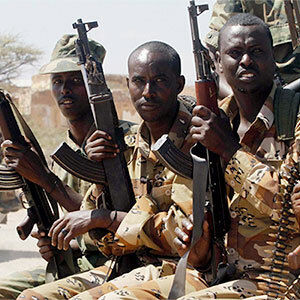 Incidents linked to al-Shabaab have formed the bulk of these since their first attack in 2008. In 2013, al-Shabaab attacks increased from 37 in 2012; and almost tripled to 80 in 2014. In April this year, the group carried out one of its worst attacks yet at the Garissa University, in which close to 150 people died and many were left injured. For many Kenyans, the real challenge in dealing with terrorism has to do with persistent ethical, professional, and capacity shortcomings. The politicised fight against al-Shabaab, uncoordinated and rash military responses, intelligence leaks and an apparent lack of adequate training and equipment have posed major impediments to the government’s ability to detect and intercept the majority of terrorist activities. Endemic corruption, in particular, is a huge blight on the success of Kenya’s security agencies in countering terrorism. The US has now pledged additional financial and training support to Kenya’s security agencies. While there is no question that Kenya needs this support, donor governments must realise that pouring more money into the security agencies will not solve internal ethical and professional deficiencies. This rise in terrorism has also led to increased government budgetary allocations, but this raises serious questions over the management of allocated resources. In the 2015/2016 budget estimates, the Kenyan government increased budgetary allocation to the military and the police to US$2.28 billion. These figures went up by US$2 billion in the 2014/2015 fiscal year. The government also allocated an additional US$106.38 million to the Kenya police, and the defence and intelligence departments also received an additional US$170.21 million. In 2015, the US government gave Kenya US$100 million in counterterrorism aid. This expanded support was more than double the amount received in 2014. Between 2010 and 2014, the country had received more than US$ 141 million from the US in counterterrorism aid. However, despite such substantial support, the effectiveness of counter-terrorism responses in Kenya remains questionable. The threat of al-Shabaab, for example, has not diminished, and many believe that the group is as strong as when it attacked the Westgate mall in September 2013, and Garissa University in April this year. According to the Transparency International Corruption Perceptions Index, Kenya performs dismally and is ranked 145th out of 175 countries surveyed in 2014. This means Kenya is seen as the second most corrupt country in East Africa after Burundi; and is only 29 levels away from being the most corrupt worldwide. Systemic corruption has permeated even the security agencies, with the police regarded as one of the most corrupt institutions in the country. The Index, which measures public sector corruption as perceived by the public, also casts doubt on the effectiveness of anti-corruption reforms. These do not seem to have brought about any significant behavioural changes in service delivery. But as Obama remarked with regard to corruption in Kenya, it's time to change habits, and decisively break the cycle of corruption. Obama described it as an anchor that weighs a country down and stops it from achieving its potential. For this to happen, though, better oversight, scrutiny and accountability on spending is required. Stringent ethical and professional accountability should be demanded of these agencies, and there is also the need to adapt training and equipment provided to such agencies. This is crucial if donor counter-terrorism support is to achieve any meaningful impact in preventing future attacks in Kenya.